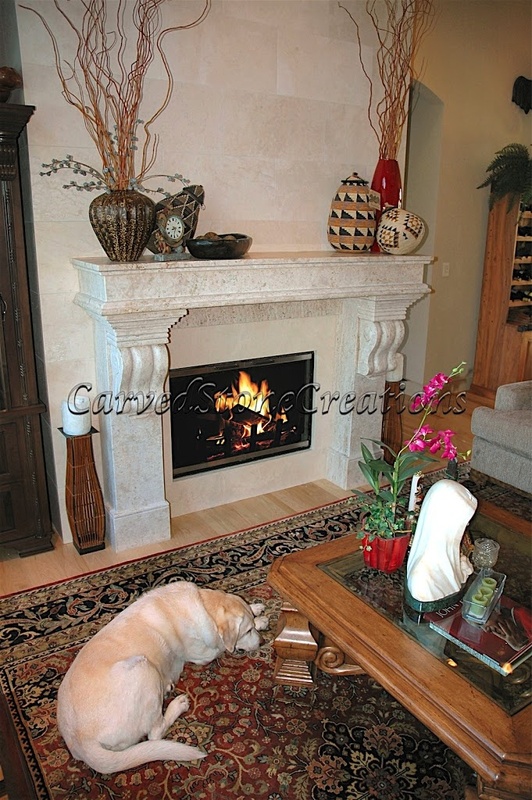 Stone fireplace design options are endless. If you can imagine it, chances are it can be carved in stone. However, the design process can be overwhelming with so many options available. Sometimes it is difficult to hone in on a specific design that will suit your home. Take a look at ways to get inspired to create your dream fireplace. Wheres the first place you look for fireplace design inspiration? The Internet. Internet searches with millions of random images can be overwhelming. Instead, refine your search for only carved-stone fireplace surrounds by browsing a gallery of stone fireplace images here. Or, consider using a home design social media platform, like Houzz. Houzz allows users to browse completed home projects based on style, budget and design specifications. View our Houzz Pro page for stone-specific design inspiration. Pinterest is another great online inspiration resource. It has an endless amount of photos to inspire you. Try creating an inspiration board to fill with photos of things you like, including color palettes, inspiring quotes, architectural pieces from around the world and home decor ideas. Your inspiration does not have to be all photos of fireplaces you like. If you like a stone used in a different piece, pin it to your board and ask us about it. Check out our other Pinterest boards for even more ideas. Tour homes to see their architectural elements. If there is an open house nearby, take a walk through it. You may end up inspired. There are also several famous homes available for tours throughout the country. Look up one near you from the National Register of Historic Places that interests you and take a tour of it. You can also visit our showroom. Weve incorporated many architectural elements into the design to help people get inspired. We are available to guide you through the design process. Contact us to get started.